The Vintage Conservatory is a private club for people who collect wine, and like to entertain or do business with bottles from their own collections – so much more personal than choosing off a list at a restaurant. 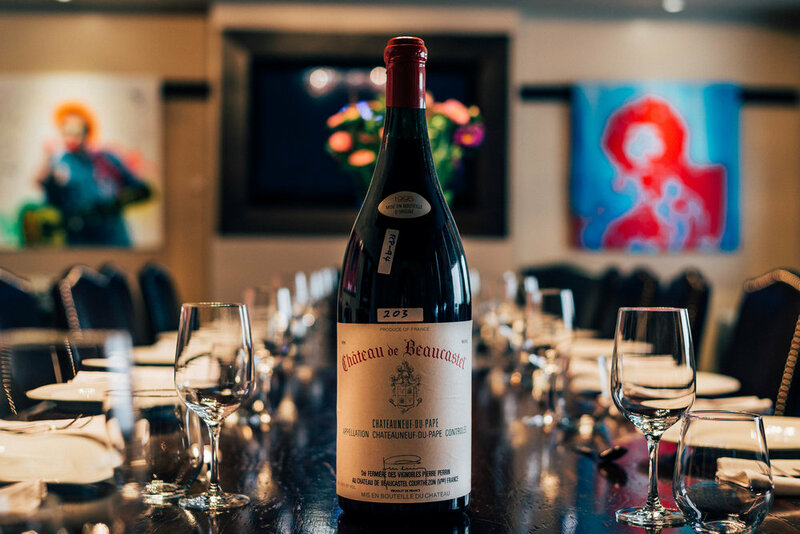 Members enjoy their own private locker in our state-of-the-art climate controlled cellar, and a beautiful fully appointed lounge to properly engage friends and clients with the storied bottles they’ve collected. Two private dining rooms are available to members to reserve to host intimate dining experiences or serious business meetings. The VC is building wine collections, relationships and business, and doing it better. The Vintage Conservatory Cellar has been expertly engineered to maintain the ideal climate conditions for your wines to reach their full potential. Our 2 point biometric fingerprint access allows members secure 24-hour access to their locker and lounge. Across the city, and well beyond, The VC is renowned for our private events. Members host fully catered dining experiences, and serious business meetings in one of our two fully equipped private rooms. Our food is our fame, where we customize every menu for the bottles our members open, with carefully selected ingredients daily from the St. Lawrence Market. We also work hard to bring the most unique monthly events and tastings for all our members to attend – educational fine dining with winemakers, speakers and culinary themes, often that will never happen again.